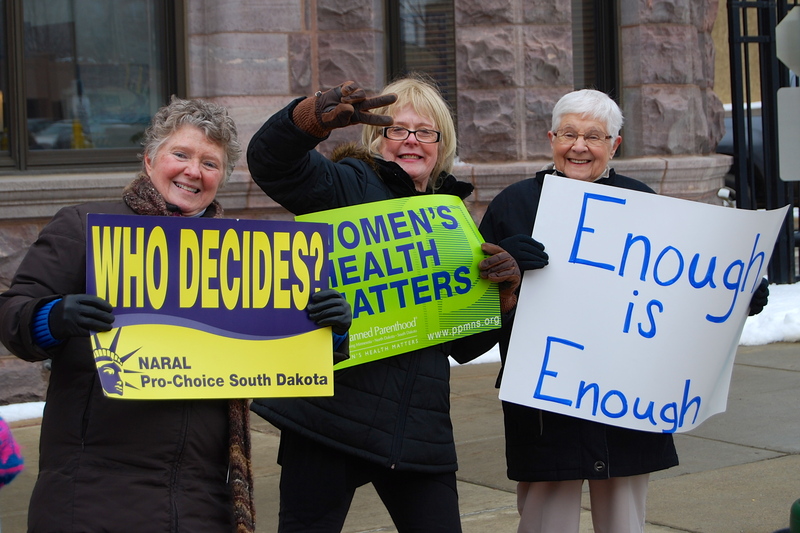 Yesterday at our Sioux Falls rally against House Bill 1237 pro-choice activists braved the cold weather for more than an hour to show their support for the women and families that stand to be affected by this offensive legislation. If you haven’t heard yet, HB 1237 redefines the state’s 72-hour mandatory delay and two-trip requirement by applying it only to business days – weekends and holidays are excluded from counting toward the three-day waiting period. In practice, this could lead to a delay of weeks. 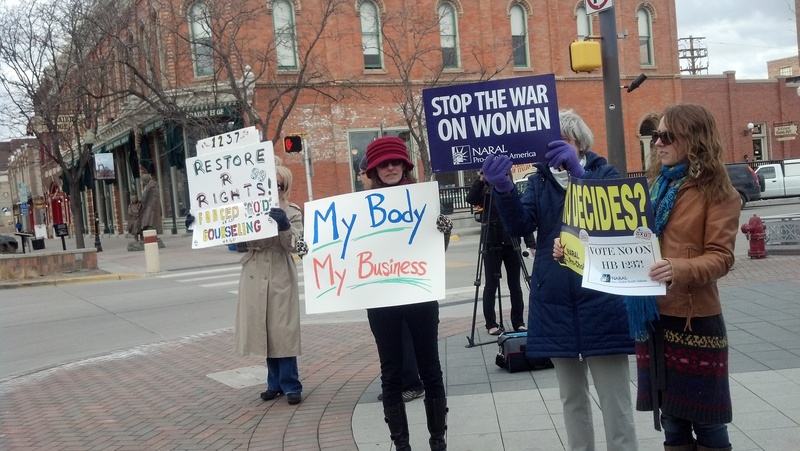 An anti-choice counter rally formed on the other side of the street, but only with half the amount of supporters. Many people driving by honked their horns, gave us thumbs up or waved in support. 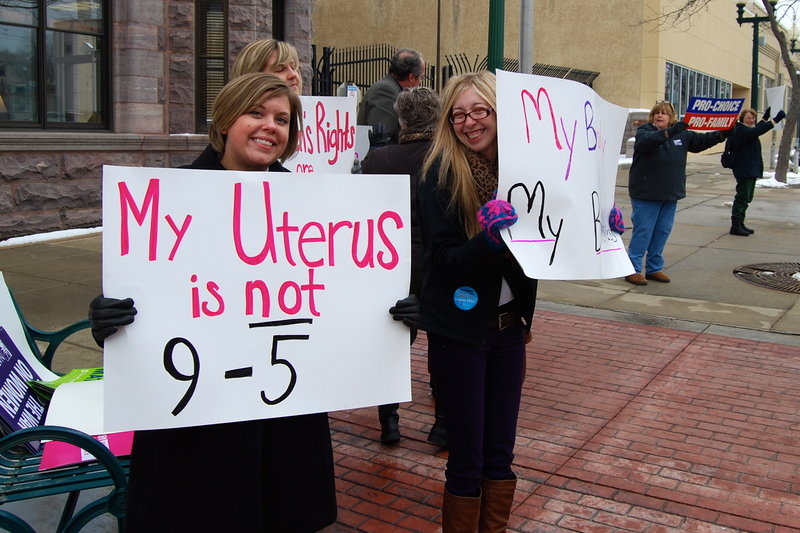 We also talked to passerby who were supportive, some even picked up signs and joined us for a few minutes! One passerby, Valerie, told us that we could walk to a nearby business and have a hot cup of coffee on her. We were grateful for her generosity and encouragement. Then Emmett joined us with a great homemade sign. 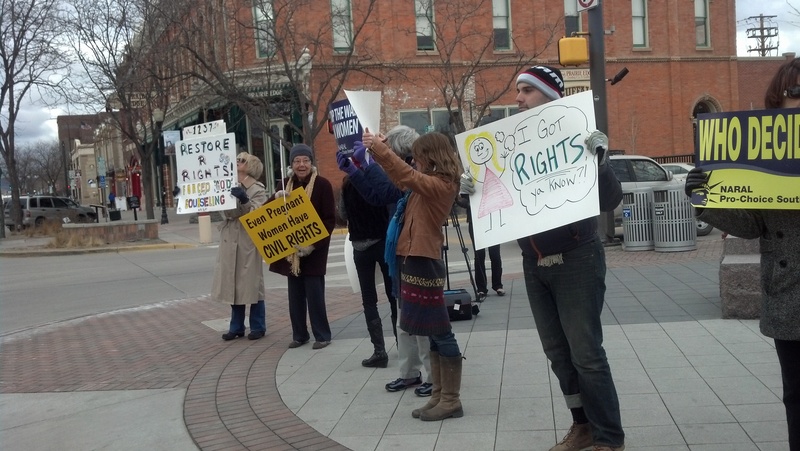 Meanwhile, across the state in Rapid City pro-choice activists were also gathering to show support for women. 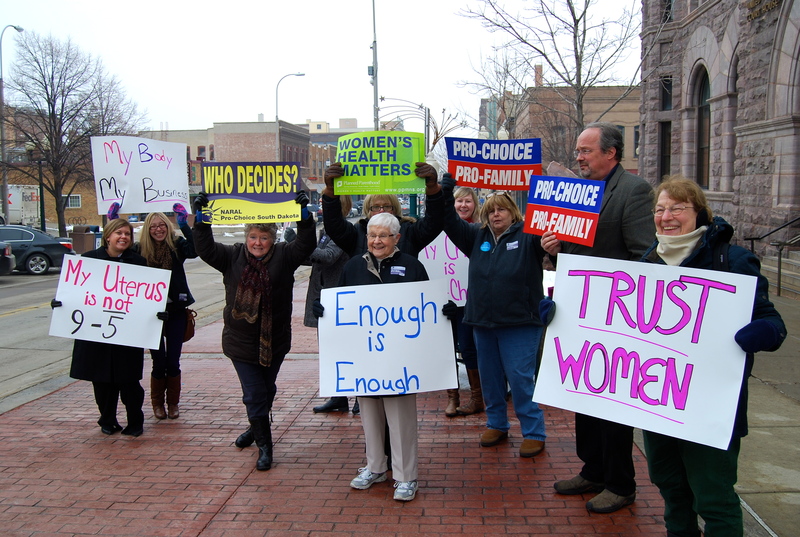 Activists across the state are standing up for women’s reproductive rights. We were proud to have so much participation in the rallies! 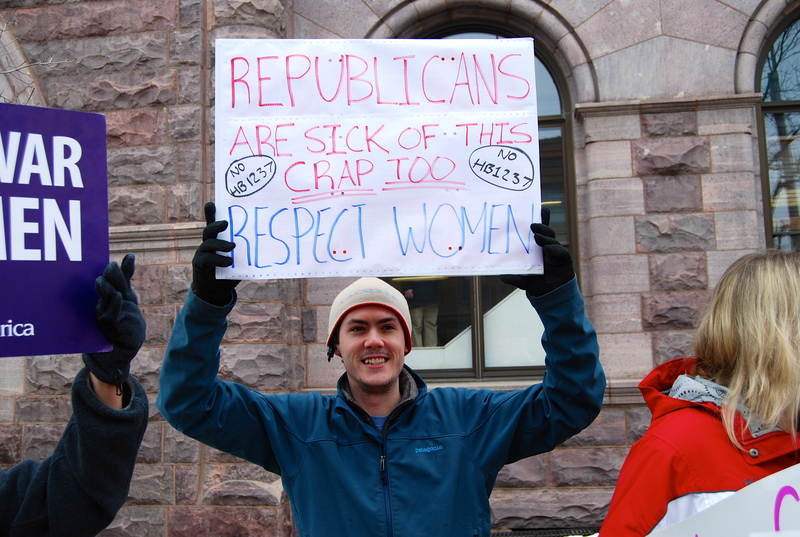 This entry was posted in Uncategorized and tagged NARAL, prochoice by naralsd. Bookmark the permalink.